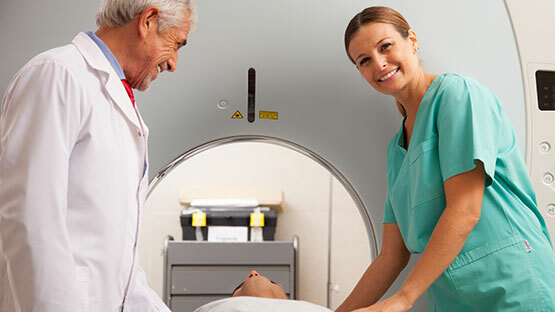 Nuclear Medicine Technology is the injection or oral administration of radioactive materials into the human body that are detected by an imaging device known as a gamma camera. A scan of the distribution of the radiotracer within an organ in the body is then produced. A Nuclear Medicine Technologist prepares and administers the tracer radiopharmaceuticals to the patients and records the images using computerized detection systems. Nuclear Medicine Technologists are employed in hospitals, outpatient diagnostic imaging centers, and private physician offices.